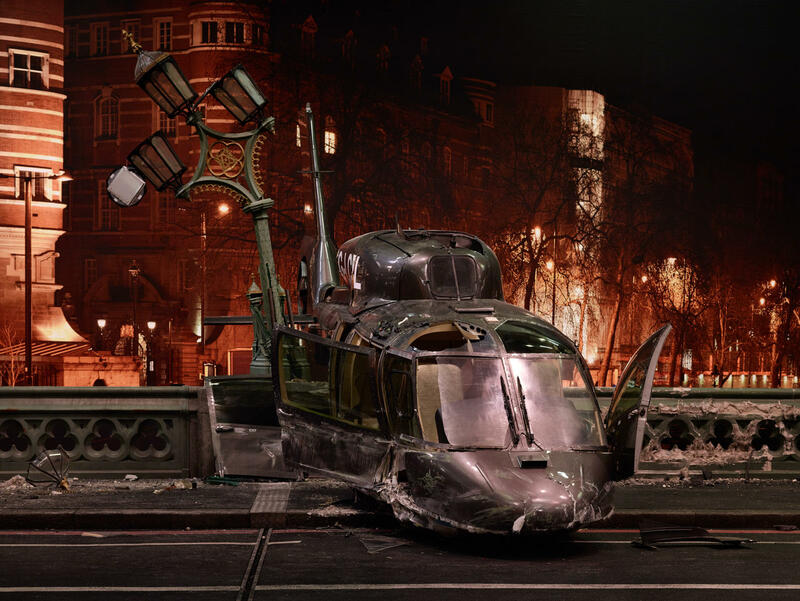 In 2015 Anderson & Low were invited to create a special art project around the making of the James Bond movie, Spectre. 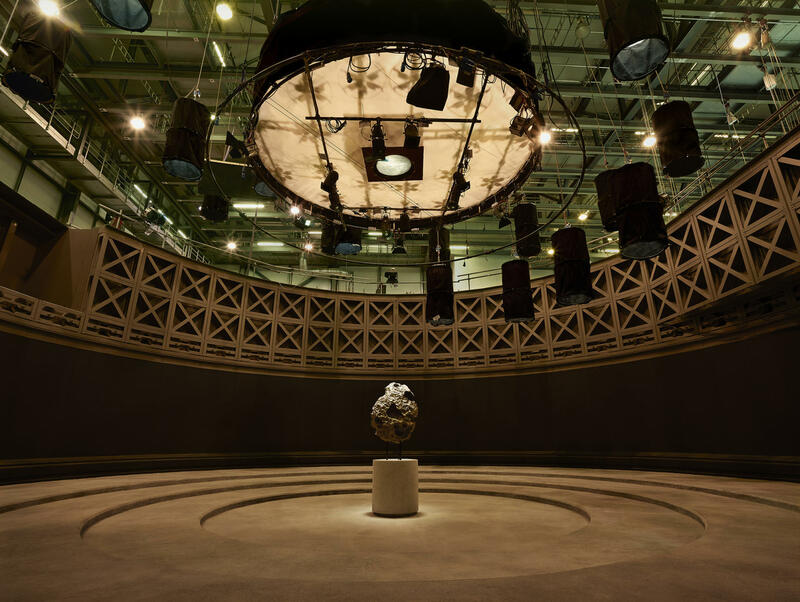 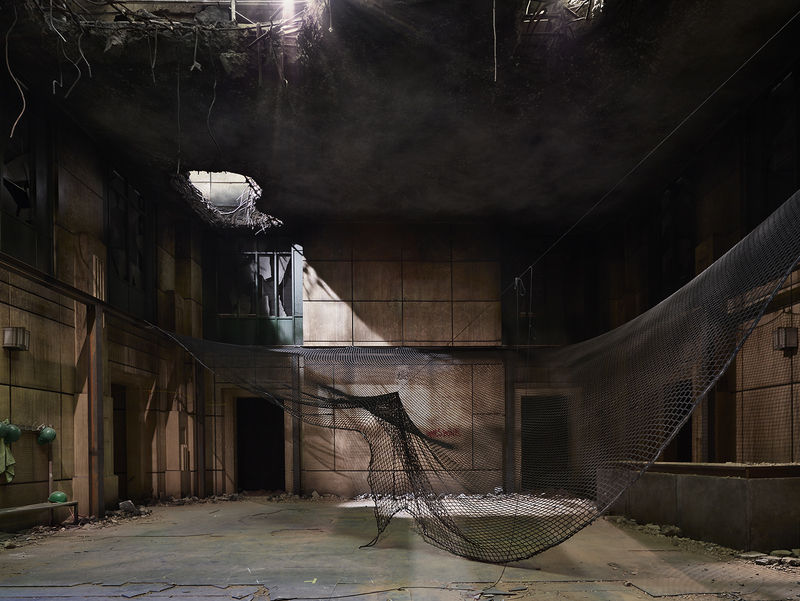 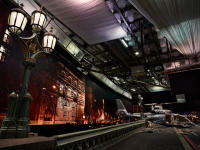 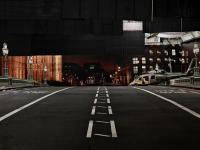 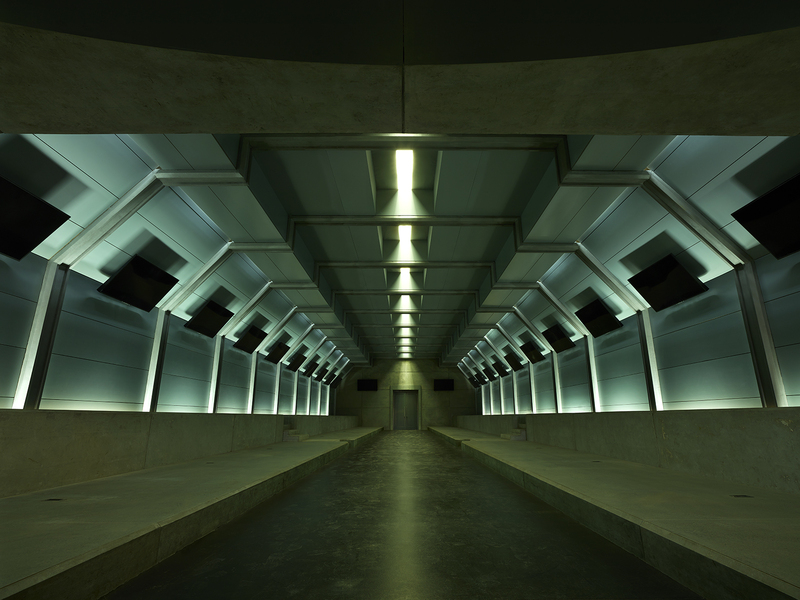 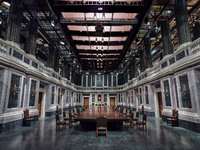 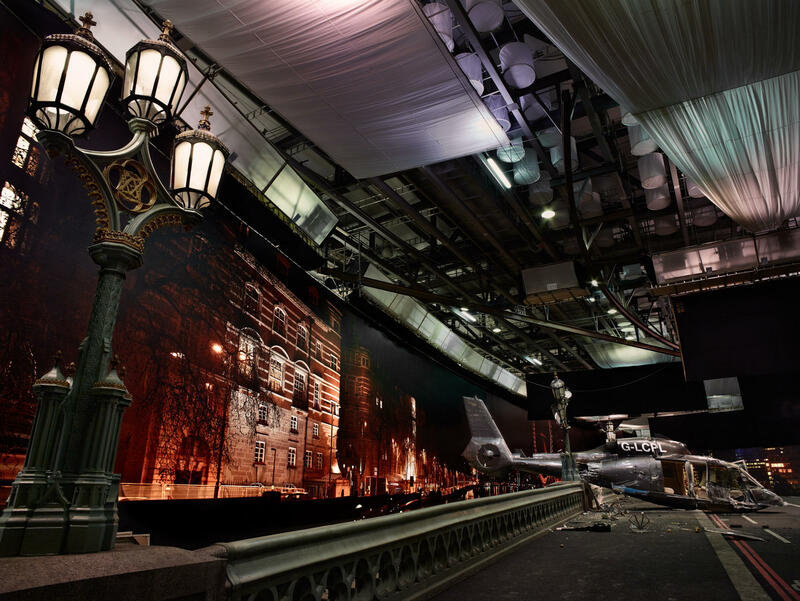 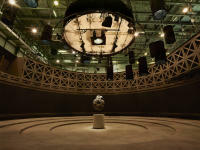 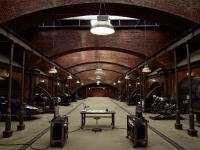 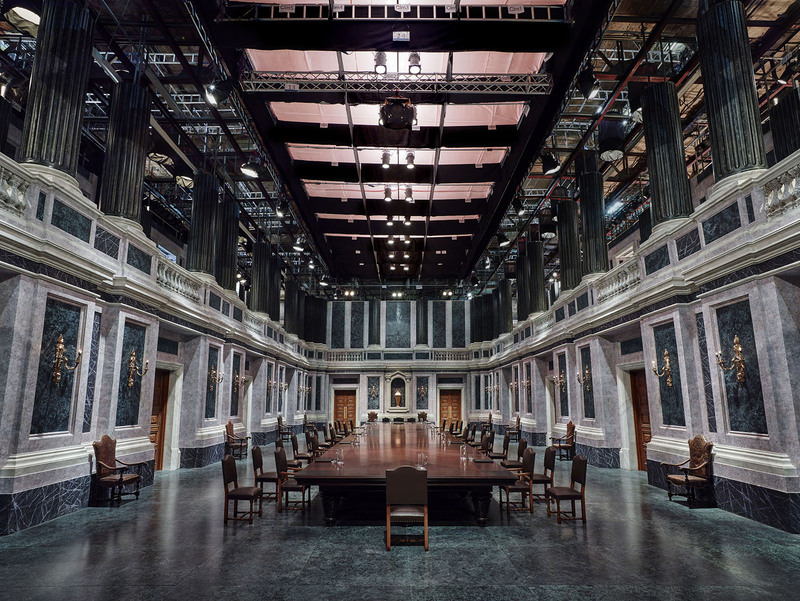 Shot at Pinewood studios, UK, this project focuses on the extraordinary, gargantuan and de-tailed sets created for the film. 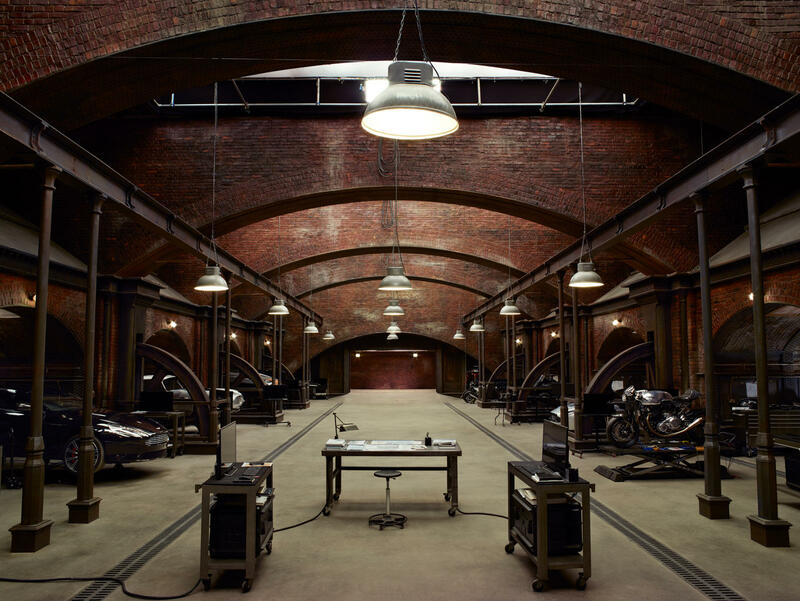 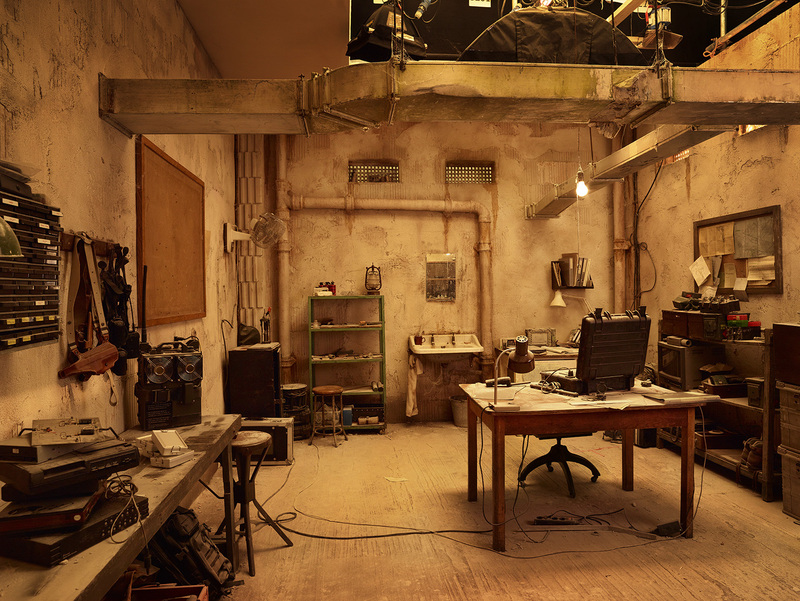 The sets, photographed completely devoid of people, are revealed in their magnificence, their obsessive detail, their vast scale and ultimately their falsehood: the level of artifice is highlighted, colliding directly with the harsh reality of the bare sound-stages at Pinewood Studios that impinge on the imagery. Five prints from this project were released at the time of the film premiere (November 2015). 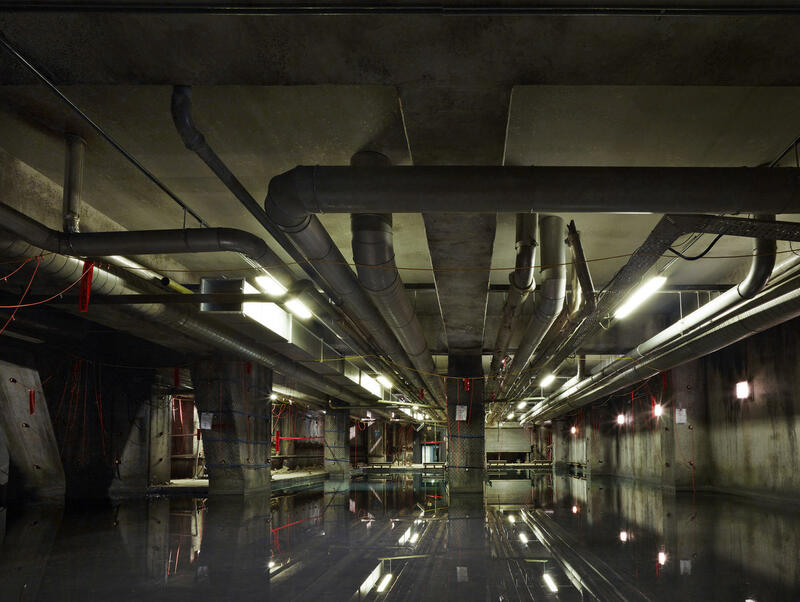 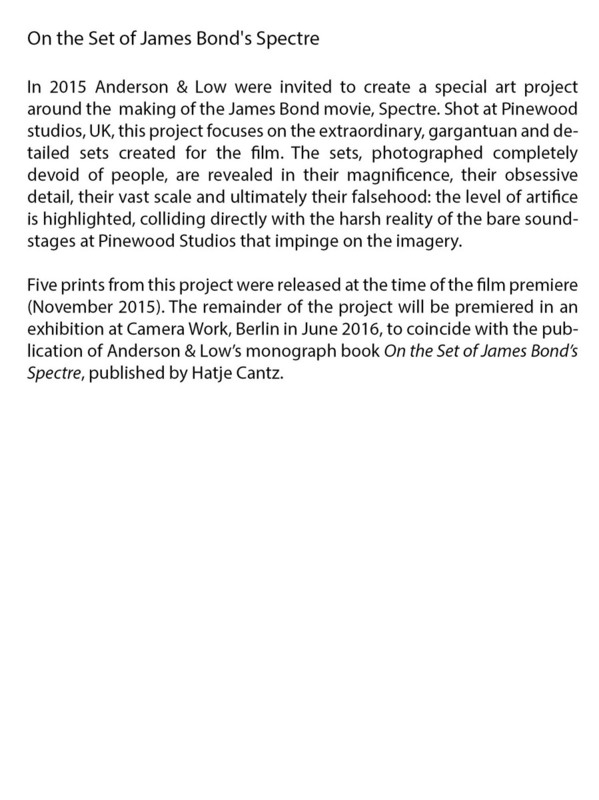 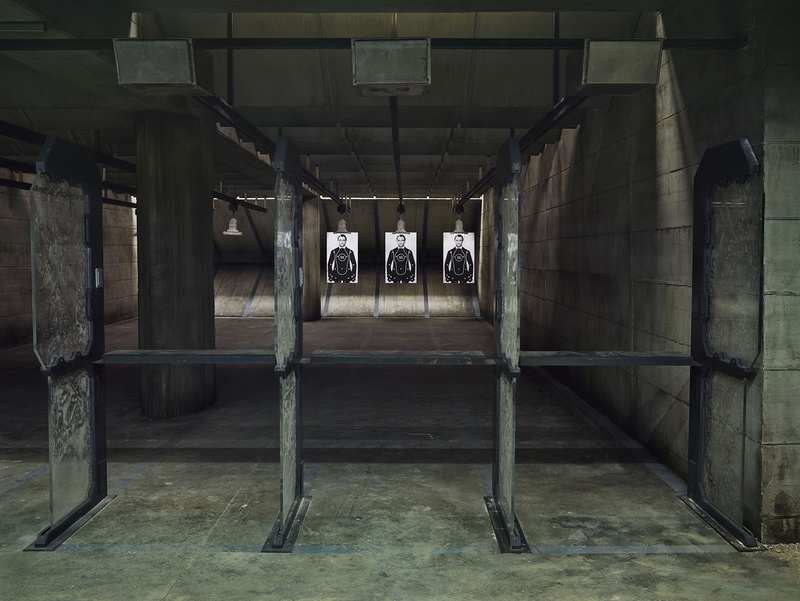 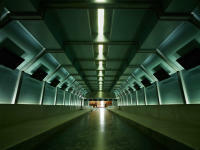 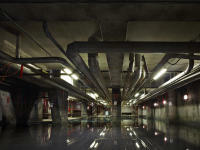 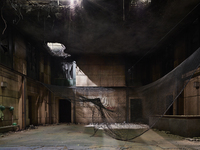 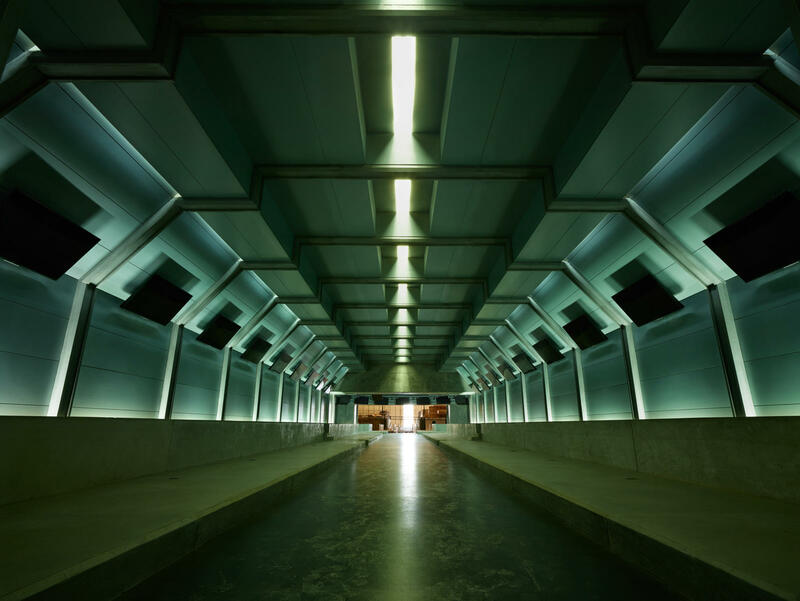 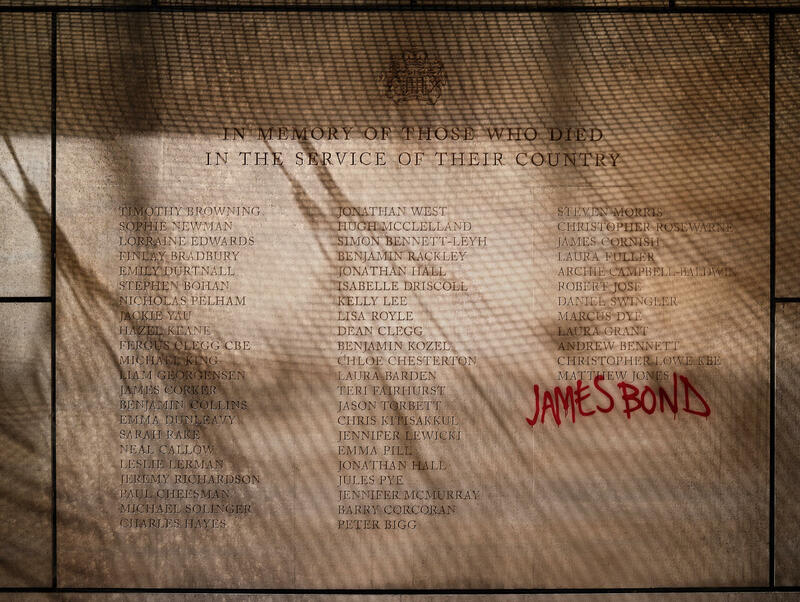 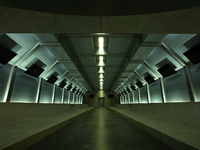 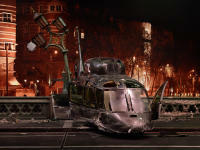 The remainder of the project was premiered in an exhibition at Camera Work, Berlin in June 2016, to coincide with the pub-lication of Anderson & Low's monograph book On the Set of James Bond's Spectre, published by Hatje Cantz.